The major focus of the institute is to conduct research in the areas of psychological health and growth, integral well being, integral counseling and psychotherapy, social and allied sciences and transformation of consciousness in the light of Sri Aurobindo's psychological thought. The research is basically advanced in nature and will be both fundamental and applied. 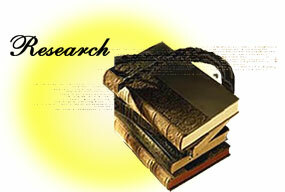 The following are the list of the research activities. 1. The institute will provide a platform to researchers and students who are interested in doing research in Sri Aurobindo's and Mothers psychological system for formal academic degrees like masters' and PhD, research project or personal research. 2. The institute will provide research supervision, library and other academic resources and any other form of support for researchers. 3. The faculty members of the institute are open to collaborate with researchers to conduct research on Sri Aurobindo's psychological system. In such cases the institute will apply for research grants, and carry out research and will have all the rights of the research work. 4. The institute in the long run will establish the state of art research facilities and will act as an advanced research center where researchers from India and abroad can enroll in the institute for research leading to academic degrees in collaboration with their respective universities. 5. The institute will apply for research grants and conduct research in important area of Sri Aurobindo's psychological thought. The area based on the priority will be listed according to a time frame. 6. The institute with the help of donor funds will establish a research fund and will give scholarships and research grants for research leading to the exposition, understanding and application of Sri Aurobindo's psychological system.